Obviously, everyone here knows that the Blue Oval knows how to build trucks. But it's still awesome to see how well it compared to the Tacoma in the PickupTrucks.com test — particularity when it comes to cargo capacity. Check out all the findings here! Put the 3.7 NA V6 and a 6 speed stick in the Ranger and I might be interested. The Tacoma is available with a stick from what I saw on the TFL test. Going from the Ford.com price/build section a pretty much bare bones Ranger XL super cab 4x2 was 25K. A full blown Ranger lariat crew cab 4x4 was 46K. It appears they are trying to keep the price spread almost 10K between the two. I think you are correct, the discounts will make the difference. If not offered on the Ranger, then the F150 will be the best buy. I can get a full blown F350 w/PSD 4x4 SRW Scab for $55k locally here.... without the PSD, $46k. Just like SUVs. I've been looking in a these Explorers and I don't see the justification in spending so much. My limit for a decked out mini SUV is $35k -- and that is too much. For a truck, that is totally different. I'd spend a little more cash for something that is suitable. The capability chapter does not surprise me. 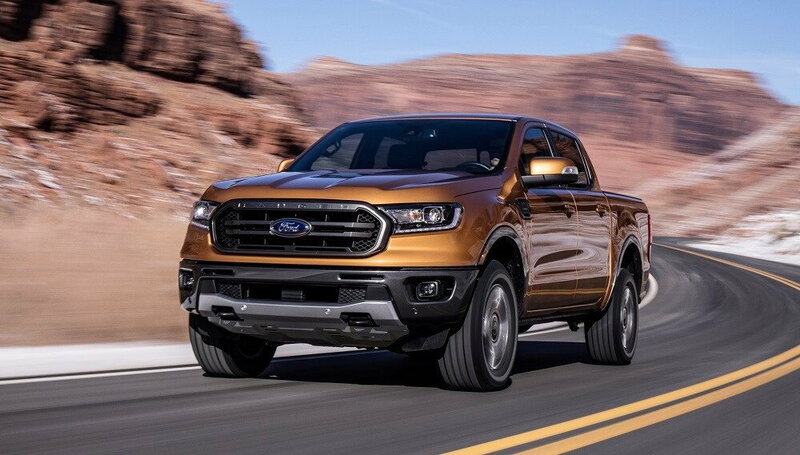 The Ranger is a world pickup product and in most markets in the world there are no fullsize pickups available, so Ford and other companies are developing their midsize-pickups with capability figures that are covered by fullsize trucks in the US. The Tacoma is a product mainly for North-America (although it is based on the world-truck named Hilux) so Toyota is covering only the typical US-midsize truck numbers with the Tacoma whereas the Tundra is covering you if you need more payload, towing etc. I am pretty surprised that Ford is not limiting the Ranger capabilites in the US-version in order to lead customers towards the F-150, since I am sure they make more money out of a F-150. I am pretty sure the Ranger will be just as successful as it once was until 2006, leading the midsize truck segment. Yeah, it's cool they still offer a stick. Put a 3.7 NA V6 and 6 speed auto in it and I'll order one tonight. Might Ford offer a bed mount to install dual .50 Cals for the Middle East customers?